At Orchard we rally around a single purpose: to invent better outcomes through creativity and technology. Those better outcomes can only exist in the context of people irrespective of if we label them users, customers, patients, clients or even staff. We're on the lookout for an Integration Developer to join our Sydney team. You'll be responsible for integrating HTML templates, developing .NET components & services for bespoke and CMS driven web based applications. You'll be an expert in implementing content management, application functionality and integration requirements while working within an agile development process. Working closely with the delivery team and applying industry best practices, you will ensure that all code developed is well architected, clean, consistent, and accurate ensuring that implementation meets in the definition of done. If you feel like this is the right job for you then please hit the apply button and send over your CV (do people still have CVs?) and we will arrange a coffee for a chat. We are an independent creative agency who fuse art and technology to invent better outcomes for business and brands. We work with a number of leading client brands such as Electrolux, Asaleo, BT, Zoetis and Bayer to name a few. Invent Better are two little words that define our big approach. It’s a belief that creative technology solutions are the key to winning in today’s digital age, and it’s a formula that challenges us to engage with our clients in a way that encourages us all to push that little bit further every time. It’s this passion and approach that has made us one of Australia’s largest independent marketing agencies. 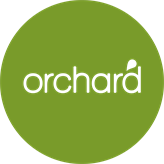 Want to get notified about new jobs at Orchard Marketing ?